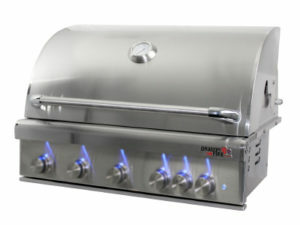 Constructed of commercial-grade stainless steel inside and out making this one of the most durable grill heads available in the industry. Available in two sizes, 32″ & 40″. 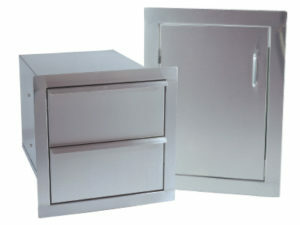 Both sizes can be used in built-in applications or with our stainless steel carts. 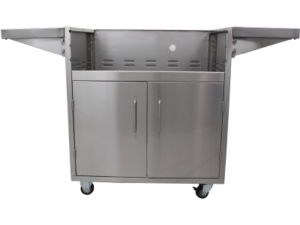 Our portable stainless steel carts feature a simple lock-in grill head design, two easy lift-off doors, locking casters and two drop-down shelves. Complete the design and functionality of your outdoor kitchen with a variety of accessories that not only look good but add versatility and storage.